Fit for a Princess. 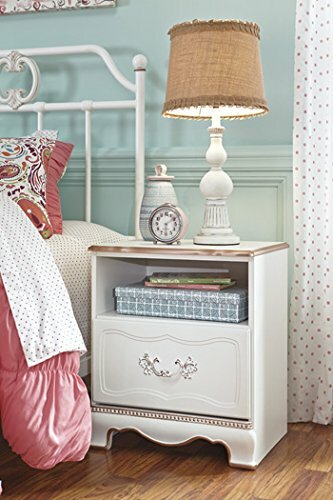 This nightstand is a dream come true for tech-savvy girls. She'll feel like royalty with this elegant French-inspired korabella nightstand with a dual USB charger located on the back of the stand's top. Rose gold color accents adorn this piece. Drawer opens beautifully with a sparkling rose gold colored handle inset with faux crystal accents. . Dual USB charger on back.